Lego and Minecraft are a perfect match. The blocky pixelated art direction of the video game is relatively easy to mimic in Lego. 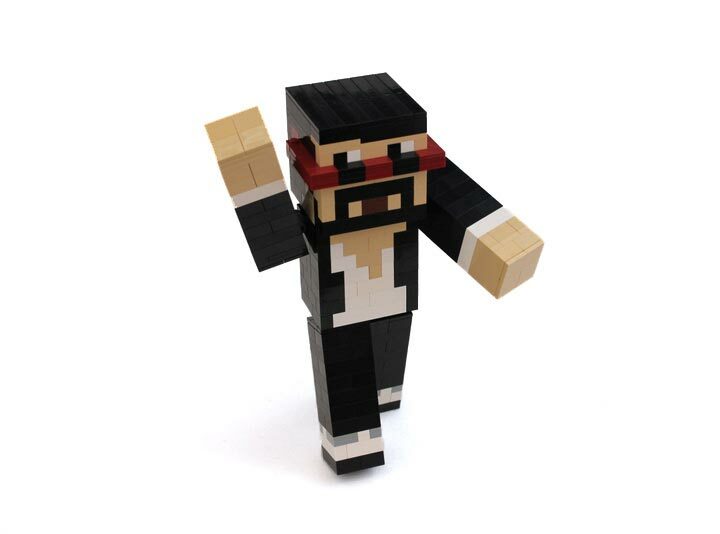 Most people directly compare the two, saying Minecraft is like a Lego computer game, or that Lego is like Minecraft in real life. The best part is that the love for both properties are equally deserved. Even Lego has recognized this symbiotic relationship and released an official set based on Minecraft (21102) . In fact that set was one of the first approved Cuusoo projects, and was closely followed and campaigned for by Notch. 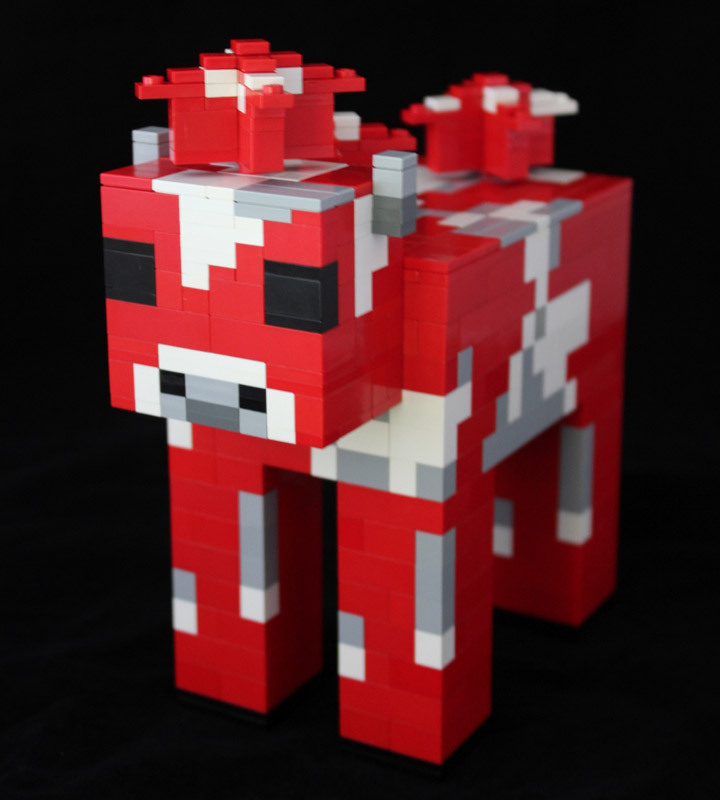 Lego Junkie has created a few Lego MOCs based on Minecraft. These are completely made from standard Lego bricks. All three models show here are roughly in the same scale, and shown what can be achieved with basic building skills. If and when Lego releases more sets, it would great if they made an official set in a large scale. The Lego Mooshroom was designed for a T-shirt competition, and although it was passed over the model is awesome. It’s not very often you see builds based off of the more obscure characters. 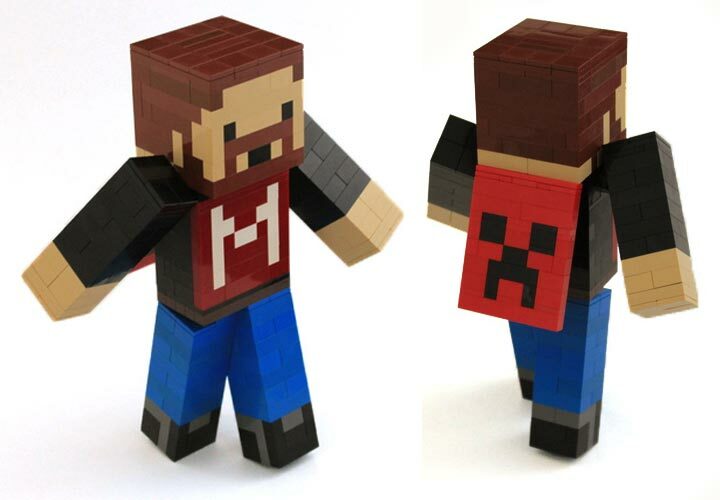 The other two builds are persons, Minecraftians, based off of Seananners, and Captainsparklez. Lego Minecraft Co-build Holiday Update! THAT IS SO COOL! I WANT ONE!!! NOW!